So, what do all these names have in common? I’ll tell you… they all write top quality, high rating achieving television. 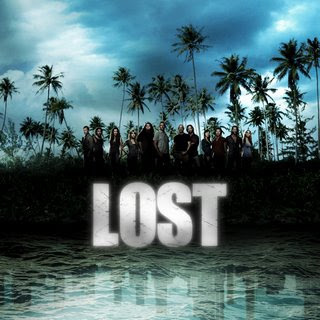 Whether you enjoy a sci-fi conspiracy (Lost, Dollhouse), a guilty pleasure (Gossip Girl), historical drama (The Tudors), a law thriller (Damages) or a drama with interesting, vivid characters (Desperate Housewives, Grey’s Anatomy), these writers and creators have consistently created television really worth watching, pretty much since 2004, when ABC suddenly became the forefront of television with Desperate Housewives, Lost and Grey’s Anatomy after around a decade of silence. Now, I am more than sure that each of you have caught at least one episode of at least one of these shows (… or in my case, every episode of every one of these shows!) and whe ther you personally enjoyed what you saw, these shows have bought people together to discuss what’s going to happen next to the characters, it no longer becomes a matter of finding something to do and channel flicking. No, in a world where series can last years and years and stories become more and more complex, audiences have to have all the facts, they yearn for the knowledge and they return each week to get a little more information about the characters they actually care about. Caring about characters is relatively new phenomena, which really got going in the 90’s, with sitcoms such as Friends, Cheers, Frasier and Ellen. Studies show that audiences no longer would just flick onto a channel but instead knew that for one day every week, a set of characters that the audience would have come to care about would be put into a new situation, a story for the writers to tell. Since then the craze for character development has grown and almost is as important as plot, no more are the days where soap operas rule the evening schedules, where cheap thrills and over dramatic storylines kept people happy, instead audiences wanted to know what drove the characters and how they would deal with a situation. The idea grew and is still seen today in sitcoms such as Scrubs where not only does the rather surreal life and story of Sacred Heart come to life but also the gratification that the audience receives by watching characters grow with time, it’s reality television without the reality, it’s all scripted and yet over the years characters have to weather storms much like you or me. So the idea grew, so large that writers understood what the audience wanted. The idea moved throughout the 90’s into comedy dramas such as Ally McBeal where creator, David E. Kelley, took reality and the surreal and made the blur between the both so endearing that audiences were hooked for years on the adventures of Ally (Calista Flockhart) while working at Cage & Fish Law Firm. Then in 2004 serial dramas and stories such as Lost and Desperate Housewives grew, audiences were finally getting realised, no more did they have to succumb to soaps like Days of Our Lives (USA) or Eastenders (UK) but instead were getting character development in the midst of stories that were so strikingly written that institutions such as FOX and NBC were actually afraid of showing this new material and it lay on ABC’s door to produce one of the most expensive pilots of all time for Lost, without even having the confidence that it may get picked up for one season, let alone another five since then and Desperate Housewives which has since become one of the most watched television shows in the entire world with an approximate audience of 120 million people in the target demographic. Characters such as Bree van de Camp and Blair Waldorf became household names within weeks of the shows premièring and since then have only grown larger and larger. 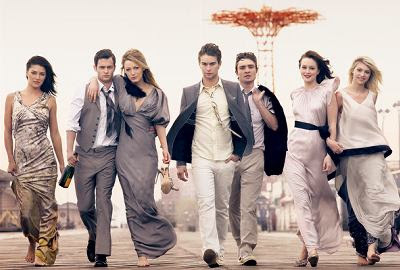 New York Magazine called Gossip Girl, ‘The Best Show Ever,’ and that’s taking into consideration the fact that it only gets around 2-3 million television sets tuning into The CW for the latest drama from the Upper East Side but it’s not taking into consideration the fact that groups of people watch the show together, it’s consistently the highest bought television show on iTunes US (Lost on iTunes UK) and millions watch the show online, these numbers do not affect the Nielsen rating, although if they did Gossip Girl, again would far excel numbers. Now, it doesn’t make a difference these days whether drama is well written or not, reality television is the forefront of what to expect each television season from both sides of the Atlantic with American Idol and So You Think You Can Dance (from the Strictly Come Dancing franchise- now the most watched television franchise in the history of television) consistently getting the highest numbers in ratings. The same thing is seen in the UK, despite the decreasing favour to shows such as Big Brother, people seem to enjoy Britain’s Got Talent and The X Factor far more than any other show, with record breaking numbers (as long as a national treasure such as Doctor Who isn’t on). 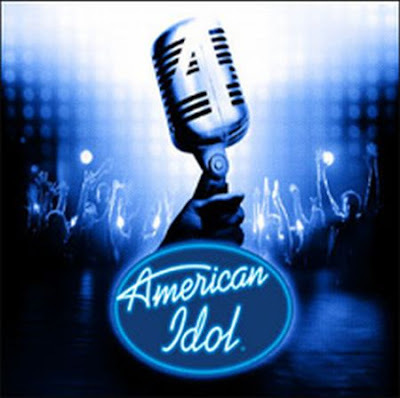 But put these exceptions aside, the Simon Cowell’s of the world have enough written about them everyday (especially because most the time, music mogul Simon Cowell is putting these shows out there! ), the names Whedon, Abrams, Hirst, Schwartz, Kessler and Zelman, Rhimes and Cherry are all highly recommended by my standards. Shows like Damages and The Tudors take writing to a level, which was rarely seen before the 90’s, shows like The Sopranos and The Wire started this trend of what I like to call clever TV. The aforementioned Damages and The Tudors are very simple concepts, a lawyer who doesn’t like to lost and fiction based on fact respectively but the writing teams on these shows have gone far beyond the mark of good writing, they have exceptional writing. Stories, which will keep you on the edge of your seat, yearning for the next episode and really getting involved with the story. Damages, created by Todd and Glenn Kessler and Daniel Zelman is the story of Patty Hewes (Glenn Close) who has her own law firm, Hewes & Associates, she is a tough cookie, usually with more balls than the men she is bringing down. She is brilliant, yet ruthless an d a fascinating teacher to Ellen Parsons (Rose Bryne), she blows hot and cold and don’t get in her way, her bark is worse than her bite. Clichés aside, the debut season finds Hewes attempting to win a class-action lawsuit against the former CEO of a corporation (Ted Danson) on behalf of his former workers. The second season revolves around Patty's relationship with a man from her past (William Hurt) and how she is thrown into a new cutthroat case against a big energy company, while Ellen seeks revenge against Patty. Damages has received critical acclaim and numerous television awards, including a Golden Globe and three Emmy Awards for its first season. The show is noted for its nonlinear narrative, frequent use of plot twists, technical merit, season-long storylines and the acting ability of its cast. You’re going to have to watch it to find out more, season three is currently in production. The Tudors, created by Michael Hirst is a historical fiction television series based upon the reign of English monarch Henry VII I (Jonathan Rhys Meyers), and is named after the Tudor dynasty. Season One chronicles the period of Henry VIII's reign in which his effectiveness as King is tested by international conflicts as well as political intrigue in his own court, while the pressure of fathering a male heir compels him to reject his wife Katherine of Aragon (Maria Doyle Kennedy) for Anne Boleyn (Natalie Dormer). He also has a string of affairs, and fathers a son, Henry, by Elizabeth Blount. Season Two finds Henry as the head of the Church of England, the result of his break with the Catholic Church, which refused to grant him a divorce from Katherine. During his battle with Rome, he secretly marries Anne, who is pregnant. Anne's own failure to produce a son dooms her as Henry's attention shifts toward Jane Seymour. Season three started in April in the USA and is due over the summer to start on BBC 2. The acting from Meyers shows the King in a new light, no longer the fat old man who ate all day but instead the jouster, musician, lover and father which not too many know of King Henry VIII. Now, if these don’t tempt you (much like maki roll in Yo! Sushi), why not try another well-written show. Medical drama’s don’t come much more popular than the Emmy Award-winning American medical drama series created by the late novelist Michael Crichton that aired on NBC from September 1994 to April 2009… haven’t guessed… ER. 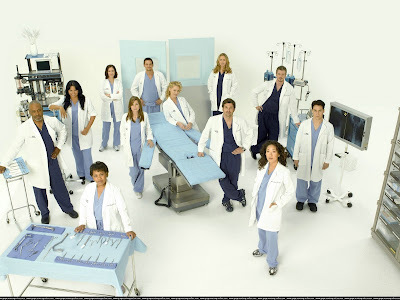 The show ran for 15 seasons, becoming the longest-running medical drama in American primetime television history. It won 22 Emmy Awards, including Outstanding Drama Series (1996), and received 123 Emmy nominations, the most of any television show in history and fully launched the careers of George Clooney and Parminder Nagra (Bend It Like Beckham). Except I, personally think I could do one better, leaving where ER left off, Grey’s Anatomy has taken place. Set in Seattle Grace Hospital, Grey’s Anatomy tells the tale of a group of interns (season 1) turn residents (season 3-present) and how they deal with working in a hospital with their fellow attendings and the interns that they have to look after and teach. Some say more a soap opera than a medical drama, others would say a definite mix, but I feel this is what makes it unique, the show isn’t exclusively about medicine (although with cases like pipes going through two people, huge boat crashes and bombs going off inside of people, literally! ), it also deals with the love lives, the emotional train wrecks and day-to-day adventures which they all go through. The casting is beyond a doubt one of the best on today, with names like Chandra Wilson, Katherine Heigl, Sandra Oh, Ellen Pompeo, Kevin McKidd and Patrick Dempsey, this is one class A act that I wouldn’t recommend you miss. Season Five is currently airing in the US. Still haven’t found what you like? Try Joss Whedon’s new creation, Dollhouse starring Eliza Dushku. Remember him? He created the classic Buffy the Vampire Slayer, it’s spin- off, Angel and the recent online comedy musical, Dr Horrible. Come into 2009, the 21st century where anything technological is possible, enter (or watch), Dollhouse. This is the story of an underground facility called The Dollhouse, insider are actives or dolls who are blank memory slates, they walk around all day smiling, but they real people, these are people who have signed their lives over (or been persuaded by the very British, Adelle DeWitt played by the very British, Olivia Williams). Then when someone with a lot of money wants to ‘rent’ a Doll for an assignment, they have a memory imprinted into them, they fulfil someone’s fantasy or pretend they are FBI for the day before coming back for their ‘treatment’, a complete memory wipe back to their Doll form. The point of Dollhouse? It’s not just a chance for the actors to dress up as different characters each episode and have a bit of fun, oh no. Throw in a suspended FBI agent who has been tracking the Dollhouse, sleeper actives who could be anyone, insid e moles, Dolls starting to recover memories from past assignments or from their former lives and you get just an inkling of what Dollhouse is about. Season One is about to start on FX on Sky in the UK and if you want to start watching any sci-fi show this year, I would recommend this. Preserve for the first few episodes, Whedon is simply trying to get the audience to learn about the House and the characters, what makes them tick and what could be lurking behind closed doors. Also, if you want the quirky humour of Buffy, it’s here but not as prevalent, there is a lot going for Dollhouse, people just need to give it a chance. Finally, how about I throw in some Gossip Girl, Desperate Housewives and Lost. The only way you don’t know all about these is if you have been living underneath a rock for the last five years. Did you used to watch The OC? Then you surely started Gossip Girl. Watch Alias? Then I bet you started watching Lost for you JJ Abrams fix. Enjoy films like American Beauty, then Desperate Housewives is for you. Whether it be a guilty pleasure or are fascinated by what really happens underneath the sheen of suburbia, one of these shows will wet your appetites. So, what have we learnt? Plot isn’t everything (although vitally important at the same time), character driven shows are becoming (or have become) all the rage and I watch just about everything on television. What do you watch? Maybe I’m biased but I feel that the gift of great writing, fantastic acting and beautiful cinematography is one of the best things you can be given. I thank these writers every week for granting me this gift, to be able to learn from them and they don’t even know it. It’s fascinating, slightly voyeuristic, but isn’t all television? Wonderful posting!I also have something to share, recently found an online TV Show with great episodes ling ahead to watched watch house online, episodes are very interesting.